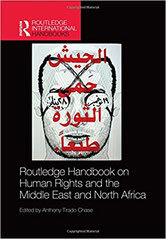 ABSTRACT: This chapter identifies some of the main obstacles that hinder serious Islamic engagement with the field of human rights, and analyzes potentialities within Islamic doctrine for realizing a vision of human rights. This chapter will focus on potentialities—the doctrinal aspects in Muslim thought, and particularly Shari’ah, which could legitimize, promote, or subvert the emergence of a human rights practice in Muslim cultures. Doctrinal potentialities exist in a dormant state until they are directed by systematic thought, supported by cumulative social practices, toward constructing a culture that honors and promotes human rights. "...In my view, however, from a theological perspective, the notion of individual rights is easier to justify in Islam than a collectivist orientation. God created human beings as individuals, and their liability in the Hereafter is individually determined as well. To commit oneself to the safeguarding and protecting the well-being of the individual is to take God’s creation seriously. Each individual embodies a virtual universe of divine miracles in body, soul, and mind. Why should a Muslim commit himself/herself to the rights and well-being of a fellow human being? The answer is because God has already made such a commitment when God invested so much of the God-self in each and every person. This is why the Qur’an asserts that whoever kills a fellow human being unjustly, it is as if he/she has murdered all of humanity – it is as if the killer has murdered the divine sanctity, and defiled the very meaning of divinity. 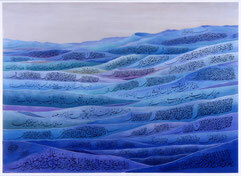 [lxiii] The Qur’an does not differentiate between the sanctity of a Muslim or non-Muslim. As the Qur’an repeatedly asserts, no human being can limit the divine mercy in any way, or even regulate who is entitled to it. I take this to mean that non-Muslims, as well as Muslims, could be the recipients and the givers of divine mercy. The measure of moral virtue on this earth is who is able to come closer to divinity through justice, and not who carries the correct religious or irreligious label. The measure in the Hereafter is a different matter, but it is a matter that is in the purview of God’s exclusive jurisdiction." 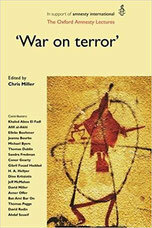 EXCERPT: "Human rights and terrorism both are grand concepts. Human rights is a grand concept of an ultimate or absolute good, in many ways, like the idea of divinity or like the idea of light. Terrorism, on the other hand, is a grand concept of an ultimate or absolute evil, very much the antithesis of divinity and the antithesis of light. "Although we human beings, including theologians, jurists and philosophers, produce a remarkable variety of terminology to negotiate our idea of good and our repulsion towards the idea of evil, ultimately we keep going back to this central dichotomous theme. This theme makes perfect sense to people of faith because it is the theme or the logic of being in a state of grace versus being in a state of the absence of grace; a state of mercy versus the absence of mercy; a state of blessing versus the absence of blessing. "Having said this, we also know that the real challenge for people of faith is the idea of people struggling with this same dynamic but under contemporaneous labels. As powerfully liberating as is the idea of the good, the light and the divine, and as remarkably suffocating as is the idea of the dark, the demonic and the terror-filled or terror-inducing, we human beings have enjoyed a miserable record of taking a concept of the ultimate and the absolute and rendering in practice, its opposite. As I will explain, that is the real challenge to people of faith through the contemporary notion of human rights..."
EXCERPT: "My article will focus on the interface, interaction, and tensions between the human rights tradition and the Islamic tradition. Both of these traditions—human rights and Islam—make normative demands upon all rational beings, and these demands are articulations of expectations regarding what counts as appropriate or inappropriate conduct in an endless range of contexts and social, economic, and political settings. Both traditions attempt to create normative cultures that define standards of ethics, morality and even legality. In addition, both traditions make their claims in the name of humanity—in other words, both claim that their normative demands ought to be believed and adopted, ought to earn deference and compliance, and ought to be accepted and acted upon for the good of humanity; both claim that, overall, human beings will prosper and be better off if they accept the legitimacy and the binding nature of the respective traditions. The question that interests me here is whether these two systems of belief are mutually exclusive. I do not intend to hold the response to this question in suspense; the answer is that it entirely depends on the substantive natures of the particular systems of religious and human rights beliefs, i.e., on how extensive, expansive, or even intrusive each is..."
EXCERPT: "...My lecture will focus on the interface and tensions between the human rights tradition and the Islamic tradition, particularly Islamic law. 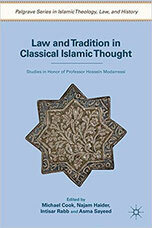 What is the `Islamic tradition` and, more particularly the Islamic legal tradition? Islamic law stands in a paradoxical position vis-à-vis the human-rights tradition. Western scholars have argued that the roots of the human-rights tradition are to be found in Judeo-Christian natural law, and more specifically, in the natural rights tradition. In my view, after post-enlightenment Christian thought, the Islamic legal tradition has contributed most to the emergence of the human rights tradition. Today, however, Islamic law is often invoked against the universality of human rights. Many Muslims and non-Muslims believe that Islamic law is fundamentally at odds with modern human rights. They contend that the two systems of thought and institutions cannot be reconciled. "Saudi Arabia, for instance, often specifies that it will comply with a human-rights treaty only insofar as it is consistent with Islamic law. Western commentators suggest that these reservations make such treaties meaningless; Saudi Arabia claims that without such reservations, Islamic law is nullified. The issue is whether either system is assumed to be immutable. If Islamic law is expected to accommodate the ever-increasing `territorial` claims of human-rights regimes, will it necessarily lose its integrity? If the space in human life occupied by Islamic law is all-encompassing, does this make human rights marginal and irrelevant? "For the purposes of this presentation, when I refer to the human-rights tradition I am not referring to international human-rights treaties, which are vehicles for generating positive legal commitments. Nor am I referring to statements of aspiration by sovereign states such as those made in the Universal Declaration. A human-rights commitment is a an intellectual conviction given reality by protecting and serving the well-being, dignity, and autonomy of human beings—simply because they are human. It is important to distinguish civil from human rights. Recognising only the rights of the citizens of a particular democracy is a form of civil-rights commitment. Recognising only the rights of particular groups distinguished by race, ethnicity, religion or national affiliation does not amount to a human-rights commitment. Nor should that commitment be affected by the attitude of a majority. On the contrary, only if the majority decides to honour the rights of all human beings is it considered to have acted morally. This is the anti-majoritarian thesis. "A human-rights commitment entails a belief in the universality of rights. Attribution of these rights is not contingent on the values that a particular group adhere to. Those who make a human-rights commitment are duty-bound to honour the human rights of all people. Reciprocity of conduct or treatment has no bearing on the binding nature of that commitment. A person who has made that commitment will not resort to torture even s/he has herself been maltreated or tortured. And people cannot be coerced into making human-rights commitments. The very logic of human rights precludes coercing people into changing their habits, customs, and social practices. Social practices cannot be coerced without traumatic social upheaval. More importantly, the use of coercion against socio-cultural convictions is inconsistent with the individual and collective right to self-determination..."
EXCERPT: "...Everyone who talks about Islamic law and human rights refers to the positive law first. The positive law says 'Kill the apostate.' The positive law does not believe in the rights of women, or in protecting the rights of children, and so forth. Instead of saying, 'There is a principle that overrides these positive laws, and we must rethink these positive laws, and creatively generate new positive laws that affirm the moral principle,' people say, 'There is no problem between Islamic law and human rights because we have maslaha or we have ijtihad and we can use these to reconcile any problems.' But when it comes to down to it - talking about specific laws and if they are valid or not - nothing is done. Take for example, the law that a husband may not go to prison for striking his wife; or that a wife inherits half of what a man inherits; or that the testimony of a woman counts as half of the testimony of a man in certain circumstances; or that it is possible to execute someone who calls the Prophet names or insults the Prophet. Do these modern scholars use maslaha or ijtihad to uphold the principle of human rights? They do not, because they do not have a clear view or a clear understanding of the normative moral commitment that Islam makes. For example, you have the law that a woman inherits half of what a man inherits in many situations. A lot of people think that that is the normative commitment itself; that that is the moral commitment. Therefore, you have to protect that law regardless of the circumstances. I am saying, 'No, that is the positive law; that’s not a moral commitment.' And that is the difference. "We must distinguish between what in the text is a moral commitment - like establish justice, or establish mercy - and what in the text is a positive law. Ijtihad and maslaha are simply mechanisms. People feel good knowing that they have the mechanisms, but they fail to have the courage to use the mechanisms. Very simply saying, 'Maslaha and ijtihad' is not enough to clarify or elucidate the moral commitments of Islam. One does not start with the tools. One must start with the moral commitments..."
EXCERPT: "Of all the moral challenges confronting Islam in the modern age, the problem of human rights is the most formidable. This is not because Islam, as compared to other religious traditions, is more prone to causing or inducing behavior that disregards or violates the rights of human beings. In fact, the Islamic tradition has generated concepts and institutions that could be utilized in a systematic effort to develop social and moral commitments to human rights. But the cause of the formidable challenge to the Islamic tradition pertains to the particular historical dynamics that Muslims have had to confront in the modern age. Here, I am referring to the political realities that have plagued Muslims, especially since the rise of the hegemonic power of the West, and the destruction of the traditional institutions of authority and learning in most Muslim polities. As discussed below, political realities, such as Colonialism, the persistence of highly invasive and domineering despotic governments, the widespread perception, and reality, of Western hypocrisy in the human rights field, and the emergence and spread of supremacist movements of moral exceptionalism in modern Islam, have contributed to modes of interpretation and practice that are not consistent with a commitment to human rights. These political developments, among others, have led to an aggravated process of moral disengagement, and even callousness, towards human suffering, even when such suffering is inflicted in God’s name. Put simply, in the contemporary era, there has been a systematic undermining and devaluing of the humanistic tradition in Islam, and a process of what could be described as a vulgarization of Islamic normative doctrines and systems of belief. Therefore, exploring the relationship of Islam to the concept of human rights implicates the crucial issue of Islam’s self-definition: What will Islam stand for and represent in the contemporary age? What are the symbolic associations that Muslims and non-Muslims will draw when it comes to thinking about the Islamic tradition? A corollary issue will be the relationship between modern Islam, and its own humanistic tradition: To what extent will modern Islam associate with, and develop the historical experience of Islamic humanism?..." EXCERPT: "When we consider the dynamics between international law and the paradigms of cultural and moral uniqueness or particularity, we ought to think about two distinct aspects of this relationship or dynamic. On the one hand, there is the issue of whether international law ought to care about unique and particular manifestations of culture and morality. This is especially so when we talk about the relationship of international law to religion. International law – in particular the human rights tradition within international law – represents a set of normative claims about the way that human beings ought to act and behave, and even, at times, think. As such, international law makes intrusive demands upon the moral space in which human beings function. But this is the same moral space for which claims of moral particularity or religion competes, and the pertinent question is: Should the proponents of international law defer, in any fashion, to the competing claims, for moral space, that are made by the proponents of moral particularity or religion? On the flip side of this equation is the equally compelling consideration, and that is: Whether particular or unique religious systems or cultural paradigms ought to care or defer to the competing claims of international law? In essence, the question can be posed with equal force to both paradigms: the paradigm of internationalism, and the paradigm of moral uniqueness..."